The Rev. 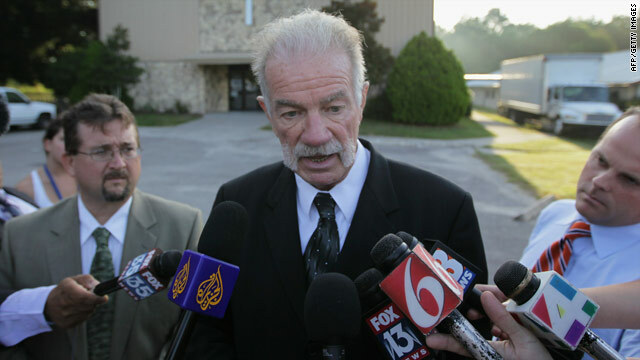 Terry Jones faces reporters' questions Friday at the Dove World Outreach Center in Gainesville, Florida. (CNN) -- The pastor of a Florida church says his congregation has decided to call off the burning of the Quran that was to be held Saturday -- the ninth anniversary of the September 11, 2001 attack on the United States by the al Qaeda terror network. "We will definitely not burn the Quran," the Rev. Terry Jones told NBC's "Today" on Saturday "Not today, not ever." The burning had been planned for 6 p.m. Earlier Friday, Jones gave mixed messages about whether he intends to carry out his plans, which have sparked international controversy and protests in the Muslim world. U.S. military leaders said the event would imperil the lives of troops abroad. He said he hopes Jones "prays on it" and refrains from doing it. The government has to send a "very clear message" that burning the Quran would endanger U.S. troops and serve as a major recruiting tool for al Qaeda, Obama added. On Saturday, New York Police Commissioner Ray Kelly said police met with Jones and plan to keep a "close tab on him" for his own safety. "His safety could be an issue, and we emphasized that to him last evening. And, he seemed to agree. You know. We would like to make certain that he remains safe while he's in this city."